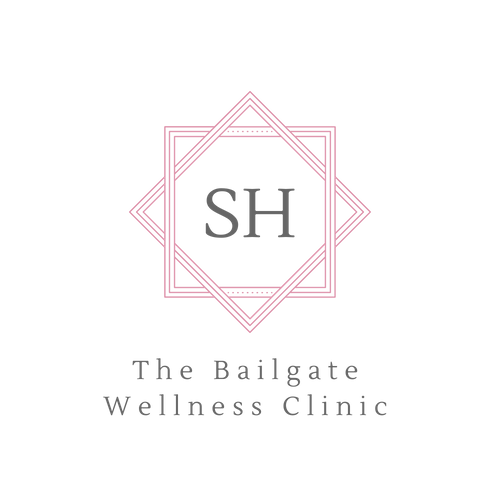 Thank you for booking your your appointment with Sarah Hogan at The Bailgate Wellness Clinic. What happens when I arrive? As you come into The Bailgate Wellness Clinic we will sit in the cosy and welcoming consultation room and talk about your needs from your treatment or movement session. Each appointment with me will be different as I will listen to your needs on that day and tailor your treatment to be bespoke to you. Maybe you've booked in for a Freedom In Movement massage therapy but really you just want to relax, with A Pure Bliss Massage, don't worry that is absolutely fine, your time with me is your precious time and I will honour that for you. My aim is for you to leave feeling amazing, comfortable and confident in your body. For each appointment I will will give you some helpful tips to take away with you wether it's stretches to keep those muscles in top condition or relaxation techniques so you feel less stressed. Don't worry I just don't leave you! You will all have your bespoke home care to ensure you stay on top of your wellness in between appointments, and you can email me at any time with any questions you may have. For those of you on Facebook I have my client support group too. My promise to you is to help you feel the best you can be. The Bailgate Wellness Clinic is located downstairs in Green Keys letting agency opposite the assembly rooms. Please come to your appointment in comfortable clothing you can move in as some parts of your therapy may be carried out over clothing. For your massage/soft-tissue therapy please be prepared to undress to your underwear, don't worry your privacy is of my upmost concern and you will be left to undress/dress in your own time with no rush. Please fill out your pre-screening form in as much detail as you can so I can give you the best treatment that you deserve, if you feel you've forgotten to mention something you can go back in and add to it up to 24 hours prior to your appointment. Your time with me starts as soon as I receive your pre -screening form, I read through it asses and start planning out the best way to start your treatment plan to make the most of your valued time with me. I do advise to create an account as it will make future appointments much easier to book and refer to for you diary as you can save on your phone and just log in. Your First Appointment with me. On your first visit with me, we will spend some time discovering what your specific needs, aims and desires are from the treatment before creating a personalised treatment plan specifically for you. By combining my expertise in massage, movement and wellbeing, we will create an entirely bespoke treatment plan, along with a home care prescription to help you make the most of your therapy session. We will decide on a Pure Bliss Massage, A Mummy Melt Massage or a Freedom in Movement Massage.